At Shalom Counselling Services we provide a safe, welcoming and non-judgmental environment for conversation and problem-solving. 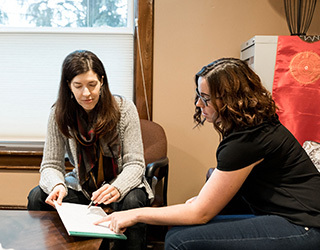 Our experienced, accredited counsellors support individuals, couples, families, and groups from youth to adult as they work through emotional and relationship concerns. Whether you need just a few sessions or more intensive counselling, we provide assessment, treatment, consultation and referrals. Find out more about our services below. 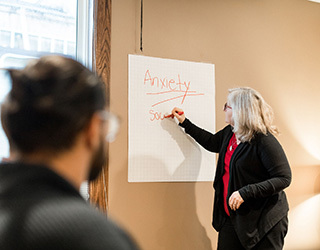 To begin the counselling process please call (519) 886-9690 or use our Contact page. Shalom's experienced counsellors provide individual, couple and family counselling for a broad range of concerns. In addition to Individual, Couple & Family counselling, Shalom offers a variety of counselling groups. 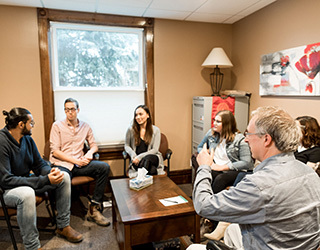 Apart from individual, couple, family and group counselling Shalom offers a variety of other services to individuals, workplaces and faith institutions. 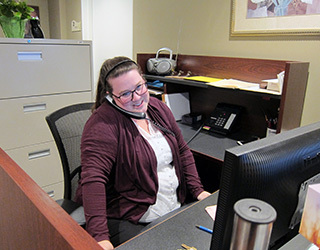 Shalom’s services are professional, confidential and provided on a sliding fee scale.